When you’re thinking about potential dangers to the health of your home, many of us don’t think about our gutters, that is, until your basement starts to flood. It’s happened to many in our area and it could very easily happen to you. 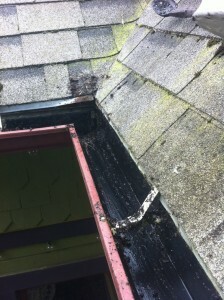 Do You Need Gutter Cleaning on Your Portland Home? As mentioned earlier, many of us don’t think about our gutters, but getting them cleaned out regularly is needed to keep them running smoothly. Pine needles, leaves and other miscellaneous items clog not only the gutters, but also the downspouts preventing the proper flow of water. When this happens, many issues start to arise. Instead of flowing down and away from your home, you now have water pouring over the top of your gutters like a running hose as it were. For home owners with basements, this presents the most noticeable issue. Basement flooding is not something to be taken likely or to think it’s unlikely to happen. They happen all the time and cause hundreds to thousands of dollars in water damage. Though this is the most noticeable issue for most, even without a basement or one with no leaking problems; not having gutter cleaning on your Portland home will eventually cause a problem. Foundation erosion being one major one. So why wait for an issue? 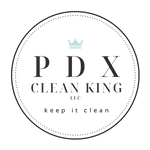 Contact PDX Clean King, and receive your FREE Portland Or Gutter Cleaning Estimate. We want to help keep your home in tip top shape!